Depending on the particular project, Altus products may qualify for up to 11 LEED Credit Points across materials and resources, indoor air quality and the innovation and design process. Altus products are designed for durability with a Limited 5-year warranty and can be re-used. LEED credits may be achieved when re-using or purchasing used materials on a project. 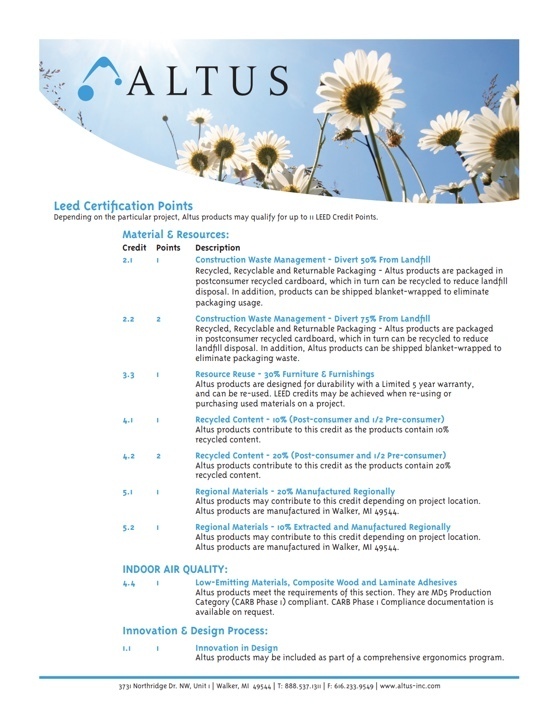 Download the guide for more ways Altus can help earn you LEED Points!